There are so many perks to being your own boss. When your practice is successful, the payoffs are lucrative in career growth, money, time, and most importantly, satisfaction! You find passion in your work. Your own practice is a reflection of your style and personality. What kind of work do you love to do? As a healthcare professional, you’re trained to do a variety of things. But what would you do all day—if you could? What do you get excited about? What do you read about on your own, versus having to read for work? You create your own schedule. Private practice counselors have the benefit of creating their own work hours. Are you a morning person who wants to work early? Or are you a night owl who wants to work later in the afternoon and evening? Or are you a mom, and can only work while your children are in daycare or school? Having your own practice lets you decide when you see clients; you have full control over your own schedule and how much you want to work. You can take on as few or as many people as you want. You could also do consulting work as part of your practice, and therefore, there are opportunities to work more if you need or want to. You can even work less if life gets in the way, or you’re making sufficient income to allow you more freedom to use your time as you see fit. You grow at your own pace. In private practice, most counselors start small, and expand according to how much work they can or are willing to put into their business. Remember, there’s no right way to grow! Some people quit their “day job” and jump in all at once, while others have a full-time job and do private practice on the side for a few hours every week. There is no right or wrong answer to how much you want to work. When you have your own practice, you’re in control of what you do—because YOU are the boss. You call the shots and make the decisions. You’re in control of the direction of your career and the outcome. You ultimately get to decide what to do with your time each day. If you’re driven, you can climb all the way to the top, because there’s nothing stopping you. When you have your own practice, there’s no upper limit to what you can do with your career. That’s the benefit of being in control! 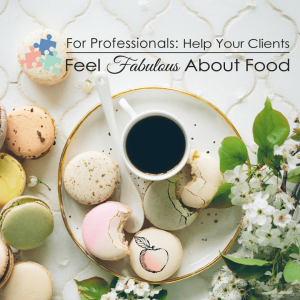 Private practice can lead you to incredible networking opportunities—connections you never thought you would make, and an amazing work/life balance that you get to choose.